Facial recognition technology, if left unchecked, could fundamentally change what it means to be an American. In late June, Jarrod Ramos shot his way through the newsroom of the Capital Gazette in Annapolis, Md., killing five and injuring two more. According to local reports, Ramos was uncooperative after Anne Arundel County police took him into custody. 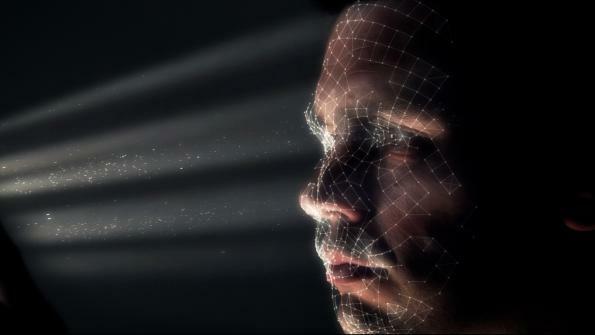 To identify him, they used a controversial method – facial recognition technology. The system matched an image of his face against a database of over 10 million driver’s license and mugshot photos to confirm the identity of the shooter, according to documents obtained by Georgetown University. While systems like these have been in place for years, their use by law enforcement is questioned by legal experts and privacy advocates who argue that unless policy is put in place to define how these systems should be used, we might soon find ourselves in a surveillance state. Roger Rodriguez, a former detective with the New York Police Department and head of their facial recognition program and current director of client relations at Vigilant Solutions, a provider of license plate recognition, facial recognition and data analytics systems, believes much of the trepidation surrounding these systems is unfounded. However in order to understand the concerns about this technology, it’s important to first understand how these systems work. There are two main ways facial recognition technology is used in law enforcement, Rodriguez explains. 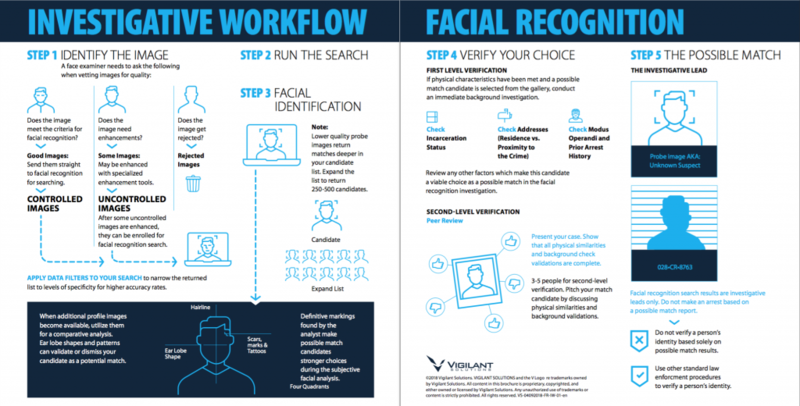 First, as with the Capital Gazette case, an image of a suspect’s face is acquired and then, using a facial recognition system, that image is compared to a large database of faces. Depending on the state, this can be through the department of motor vehicles and/or law enforcement’s collection of mugshots. The system then produces a list of likely candidates which is then reviewed by detectives. It’s also important to note that these systems have been in place for years without any known cases of abuse. Rodriguez says the 9/11 attacks catalyzed these technologies and shortly thereafter they really began to expand in the law enforcement world. The NYPD was an early adopter, and Rodriguez was in charge of its first dedicated facial recognition unit. He says over the years these systems have improved in their ability to accurately match images, and the costs have come down dramatically making it a viable option even for smaller agencies. Privacy advocates and civil liberties groups, however, do not agree with Rodriguez. To demonstrate the potential weaknesses of these systems, the American Civil Liberties Union recently conducted a test using a popular law enforcement facial recognition program developed by Amazon called Rekognition, which falsely matched 28 members of Congress to criminal mugshots. When reached for comment, Matt Cagle a technology and civil liberties attorney at the ACLU of Northern California, echoed the sentiments of the official statement. One of her concerns is that technology has far outpaced the regulatory mechanisms of government, and these systems are being used virtually unchecked. She agrees with the ACLU’s position that a moratorium is appropriate until it’s better understood and we as a society can come to terms with this technology and understand its impact on our culture. Lynch reminds local leaders it’s their responsibility to thoughtfully consider the consequences of deploying these systems. Practically speaking, Lynch feels facial recognition systems should be much harder to access. “We have very clear restrictions on law enforcement’s ability to use other types of technologies, for instance, to wiretap our phones or to access our emails or track our location,” she says. “Mainly this is through the use of a warrant that requires an officer go to a judge and justify to the judge why they need to use this kind of extremely invasive technology. In doing so, the officer has to prove the use of the technology is tied to a specific criminal activity and its likely to provide evidence of a crime.” What we need to avoid, she says, is the creation of a digital dragnet where everyone is being surveilled at all times. What’s at stake, Lynch says, is the fundamental principles guiding our democracy. America was built on the ability of people to walk about in relative obscurity, and facial recognition technologies jeopardies that ability. “If you know that the government is watching you at all times, you’re much less likely to speak out on things that concern you, you’re much more likely to go with what the general consensus is. People are less likely to speak to and interact with people they don’t know. People are less likely to be political. This isn’t just theory – there have been many studies conducted on the impact of surveillance on communities.” If we accept this type of surveillance, Lynch says it would fundamentally change what it means to be an American. We have to ask ourselves, is this what we really want? Cagle offers practical advice for local officials who are considering deploying these systems in their community – simply put, ask them. “We think it’s good government for the public to be involved at the earliest point possible before surveillance technology is acquired or used,” he says. “We find in many cases current law enforcement tools are adequately serving the public’s needs and dangerous state surveillance technologies aren’t going to be necessary.” In Cagle’s mind, the potential for abusing these systems far outweighs the benefit of utilizing them.